The discovery of the USS Indianapolis wreck comes decades after the ship sank, leaving 900 men to die in shark-infested waters. Wikimedia CommonsThe USS Indianapolis near California’s Mare Island Naval Shipyard on July 10, 1945, 20 days before it was sunk. Researchers have finally discovered the USS Indianapolis wreck, the remains of the World War II vessel that delivered the components of the Hiroshima bomb just before being sunk by Japanese torpedoes, leaving hundreds of its crew to die of exposure, dehydration, and shark attacks. On Friday, the group of civilian researchers led by billionaire Microsoft co-founder Paul Allen located the ship more than three miles below the surface of the Philippine Sea, reports CNN. Using his state-of-the-art deep-diving research vessel, Allen was able to succeed where others had failed before. “To be able to honor the brave men of the USS Indianapolis and their families through the discovery of a ship that played such a significant role in ending World War II is truly humbling,” Allen said, according to CNN. Now, Allen and company will continue to investigate the site in hopes of locating all of the wreckage and discovering as much as possible about the ship’s tragic demise. 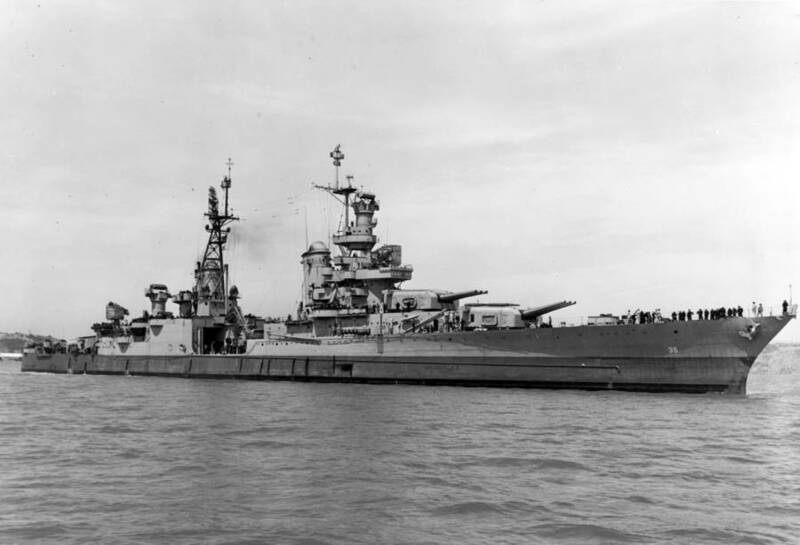 The details of the USS Indianapolis wreck that are known have long fascinated history buffs interested in both the ship’s crucial role in the close of World War II and its own harrowing end. 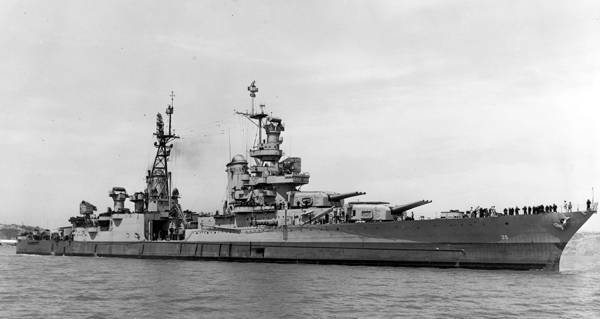 Just hours after the U.S. military completed history’s first successful test of an atomic bomb, the USS Indianapolis left San Francisco on a top-secret mission to deliver the uranium for the Little Boy bomb that was about to be dropped on Hiroshima. All was going well as the ship dropped its cargo on Tinian island on July 26. But then, on July 30, as the ship approached the Philippines, it was struck by two torpedoes from a Japanese submarine. The ship, along with 300 of its 1,196-person crew, went down in 12 minutes. But many of the remaining 900 men faced a fate far worse. 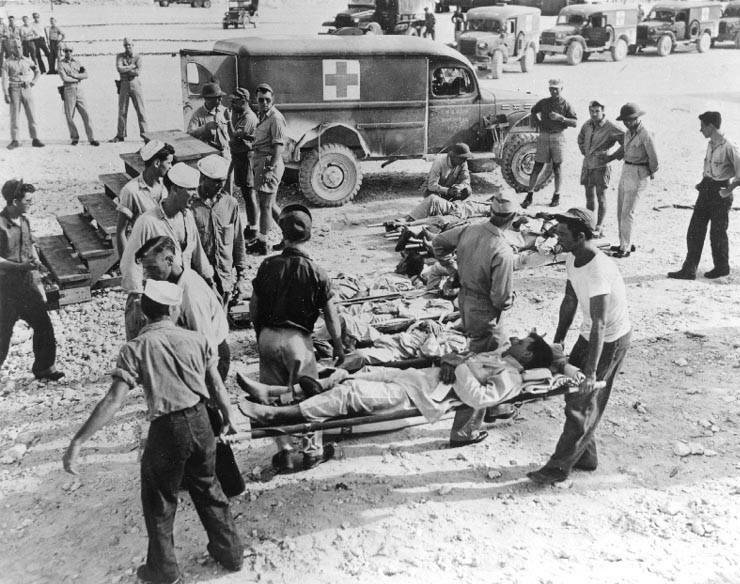 Wikimedia CommonsUSS Indianapolis survivors receive medical attention on the island of Guam. August 1945. Finally, on August 2, a Navy plane spotted the survivors and a rescue operation got underway. Of the 900 that went into the water, just 317 were pulled out. Some historians have since claimed that the rescue operation was so delayed because of the secrecy surrounding the ship’s mission, which was integral to the dropping of the first atomic bomb. Today, though some facets of the ship’s story remain a mystery, the discovery of its remains will surely bring many elements of this 72-year-old tragedy to light. As Allen said, according to CNN, “I hope everyone connected to this historic ship will feel some measure of closure at this discovery so long in coming. After this look at the USS Indianapolis wreck discovery, check out 21 World War II myths that we all need to stop spreading. Then, discover 28 of the most fascinating shark facts that you’ll ever read.